With no new Left 4 Dead game in sight, Swedish studio Fatshark dived into the cooperative first-person action niche with Warhammer Vermintide. Set during the End Times, the game launched two years ago on PC and last year on PlayStation 4 and Xbox One. The game sold almost two million units between all platforms and was enough of a success to push Fatshark into developing Vermintide 2, currently scheduled to launch early next year. Some of the already known highlights of this sequel are the branching careers (fifteen, three for each of the five heroes available), the improved loot system and the new enemies, the Chaos warriors who will be joining the Skaven seen in the first installment. However, we were able to learn even more on Vermintide 2 thanks to our chat with Fatshark’s Producer Robert Bäckström and Game Designer Victor Magnuson. Keep reading to get the full scoop. How long has Vermintide 2 been in development? It is very much depending on how you define development start. There are features in V2 that we started to work on shortly after the release after V1 but before we had a clear vision on what V2 should be (or if it even would be at all). But the main development phase started closely after the console release October last year. If you had to highlight the biggest addition to this sequel, which would you choose? It is hard to choose one – the Heroic Deeds feature, the addition of Chaos or the new career paths our characters follow are all strong candidates. Personally, I love the fact that the melee combat that made the first game so successful is still there – but with more polish and variation. 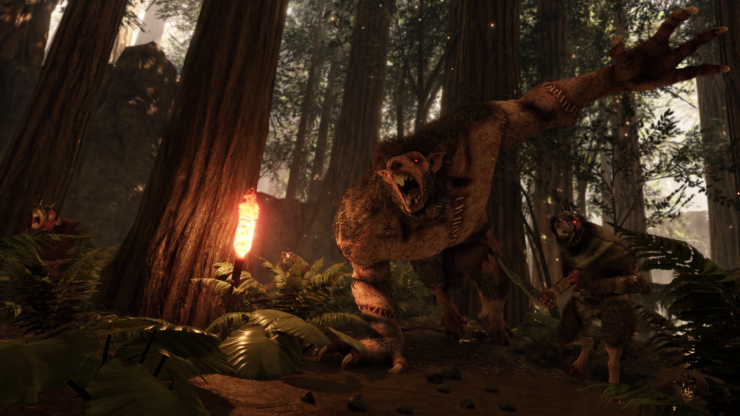 Melee combat was already great in the first Vermintide – still, did you manage to improve it further? On the other hand, has ranged combat gotten any better? Yes, we like to think that we managed to do it even better! The stronger and heavier Chaos enemies forced us to develop some parts of the old combat system that were not that in focus when facing the weaker Skaven. Heavy impact effects, ragdoll improvements and big boy treatment just to name a few. What Big Boy treatment stands for? It is the tasks you need to undertake to make sure a really big enemy move and fight in a believable manner. Facing rotation and corner taking is two aspect of an animation set scheme that need to be handled with greater care when you have a slow moving enemy that stands out from the crowd. I’ve seen that modding tools are not mentioned on the Steam page yet. Is that because they might not be available at launch? Can you describe the extent of modding capabilities? We are currently working tightly with the modding community for Vermintide to provide them with tools which would facilitate their efforts and to support official backing in the form of Steam Workshop. However, it is still too early to tell if this is a feature that will be shipping with the game at release or if it will be a post launch update. To what extent the modding capabilities goes is also a bit early to say exactly but our ambition is to make it as simple as possible for players to create new content for the game. We will in the coming weeks (at the time of writing this) go live with an early version of our modding support for Vermintide that will allow our community to use the mods that have been created for that game in a more official capacity. This will serve as a first step and alpha version of what we will do in Vermintide 2. Fatshark does have a heritage of building competitive multiplayer games with the likes of War of the Roses, War of the Vikings and Bloodsport.TV. Some players feel that a Versus mode akin to Left 4 Dead’s would add more longevity to Vermintide 2 – is that something you may consider after launch? We have discussed it. But coop and versus are two different beasts and it would likely be more work for us to add a versus mode than it would be to develop V3. And because we are a relatively small studio we need to be very focused on our approach. We can’t be best in class at everything but we CAN be world leaders in creating coop melee FPS games – which at the moment is what we strive for. You’ve made a VR experience called Hero Trials. With Vermintide 2, are there any plans to add full VR support? If not, why? We don’t have any plans for it right now, for the same reasons that we are not planning to add a versus mode. We only have so many resources and need to be mindful where we spend them. What are the main graphical enhancements you’ve made to the engine for this sequel? We have constantly been updating the engine since we released Vermintide this has led to better optimization when it comes to how we utilize both the CPU and the GPU. We have also added support for DX12. Perhaps most noticeable is the addition of Volumetric Lighting/Fog which really adds a lot of depth to the environments. We have added texture streaming which allows better texture handling and enables us to have more details. We have this really cool new fluid system that enables us to have liquids that spread naturally over the environments which allows us to have really cool napalm-like attacks that spread fire over the environments. Will there be beta tests for the console versions of the game? Also, will the console versions of Vermintide 2 launch at the same as PC? Yes, we plan to run a beta test for the console versions of the game. Console release date is not announced yet but it will not drag behind the PC for as long as the first games console versions did. Warhammer Vermintide is one of the titles listed as Xbox One X Enhanced by Microsoft. Is the update already available? Can you disclose all the technical details? Yes, the Xbox One X Enhanced version is available now on the Xbox One store. It has native 4K render support, improved aliasing and shadow casting, more detailed textures and a sharper image for an improved visual look. The stronger CPU power allows us to run the game at a more consistent framerate for a smoother game experience. 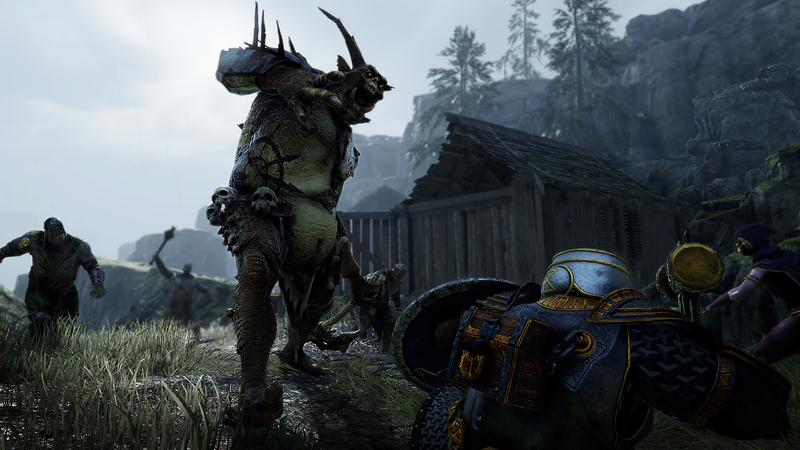 We took a rather late decision to omit HDR support for both the PS4 Pro and the Xbox One X version of Warhammer Vermintide due to resources being used in the sequel. But we hope to remedy that in the upcoming sequel. The PS4 Pro update isn’t available yet; it is still pending but it is in our pipe for a not too distant release. Details are still being finalized, but our target resolution on PlayStation 4 Pro is native 1440P. With the success of the console, several third-party developers are flocking to support the Nintendo Switch. What are the odds of seeing Vermintide at some point on the Switch? We are obviously thrilled by the thought but there are some rather steep technical hurdles for us to overcome first to be able to squeeze the game into the Switch.